Gather with friends to celebrate and savor local dishes. Join us Thursday nights for an intimate dinner that celebrates local, pasture-raised, sustainable meats and fresh, seasonal ingredients. Dining in our private butcher shop in Black Mountain, we welcome you to relax with friends, family and new faces in an intimate, casual setting surrounded by no more than 12-15 people. 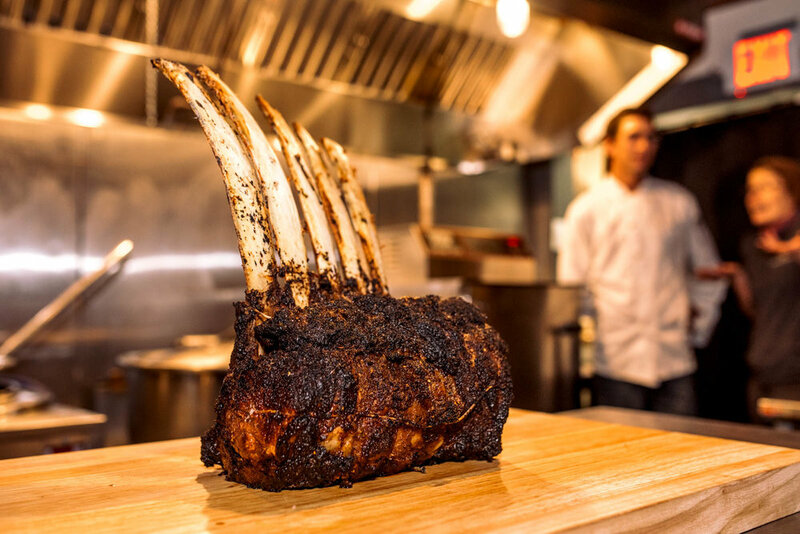 Welcome to our famed Butcher’s Table Dinner series. Originally established in 2014, our Butcher’s Table Dinner series has been a popular, sold-out dining experience where our chefs treat a small number of guests to a multiple-course meal, accompanied by curated drink pairings and great stories. A butcher’s table dinner is all about gathering together. We require a minimum of 12 attendees to hold the dinner every Thursday night, so we encourage you to bring your friends and loved ones to have a great time! The dinner includes 4-5 courses. 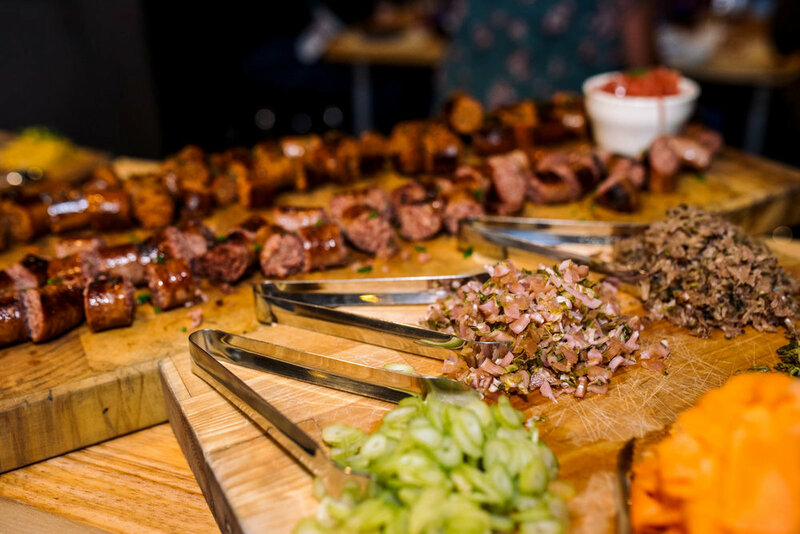 Each course includes a meat-inspired dish, accompanied by seasonal vegetables, housemade pickled vegetables, local artisan and/or fine cheeses, handcrafted desserts, and other goodies. It does not include drink pairings, which can easily be added to your ticket if you would like. We also have a full menu of alcoholic and non-alcoholic beverages to choose from. Individual tickets are $60 per person to attend a 12-15 ppl Butcher’s Table Dinner. The price is $720 flat fee for a private party to book their own Butcher’s Table Dinner for 6-12 people. 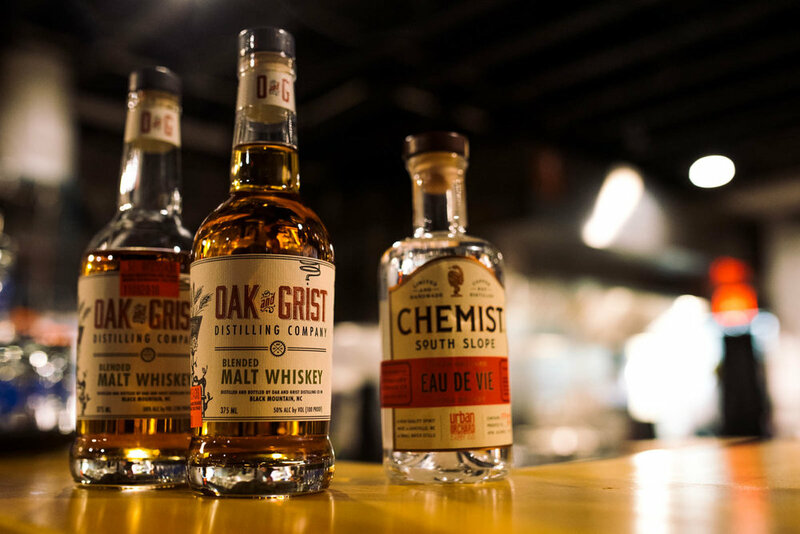 We recommend drink pairings for each course. This is an optional add-on at $12 per person- it may include beer, wine, spirits curated by Foothills Bar Manager, Mark Henry. 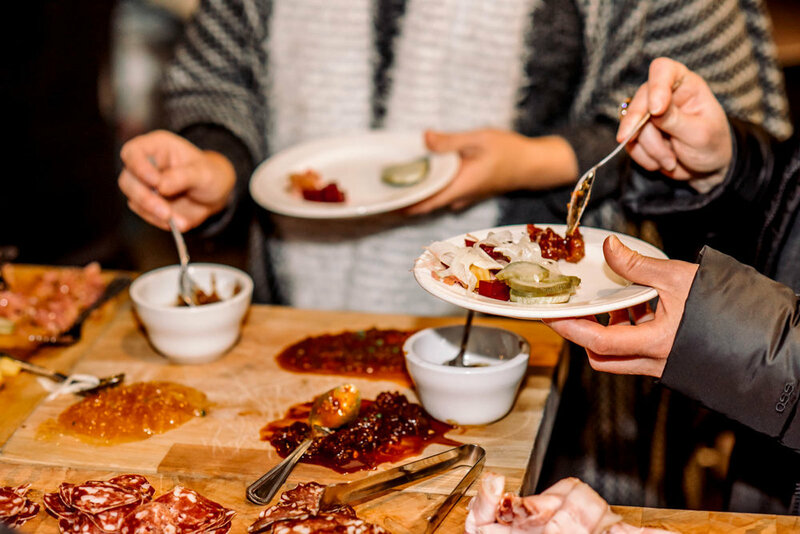 After closing the original shop to the public, Foothills hosted one more Butcher’s Table Dinner on the porch before relocating the dinner series. 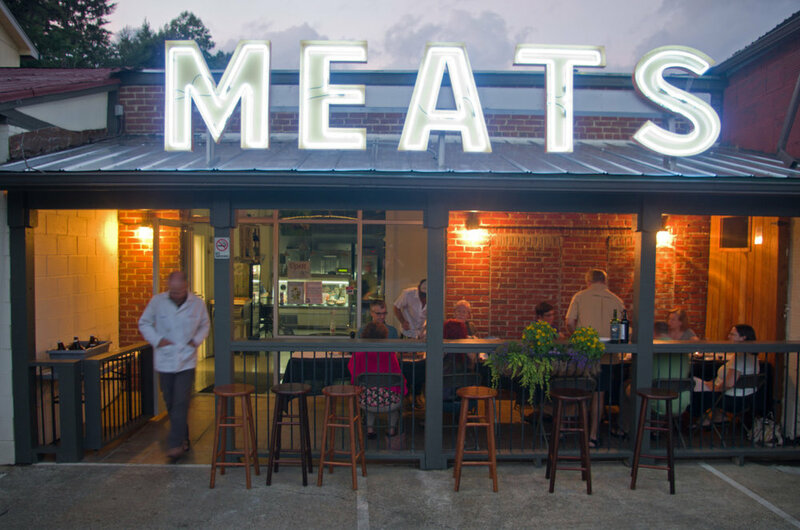 Foothills took a break from hosting its popular Butcher’s Table to focus on the opening of two butcher bar restaurants in Black Mountain and West Asheville. The Butcher’s Table Dinner series officially returns to Black Mountain at 107 Black Mountain Avenue and is hosted in Foothills’ unique butcher shop next door to its butcher bar. We would love for you and your friends or family to attend a Butcher’s Table Dinner! 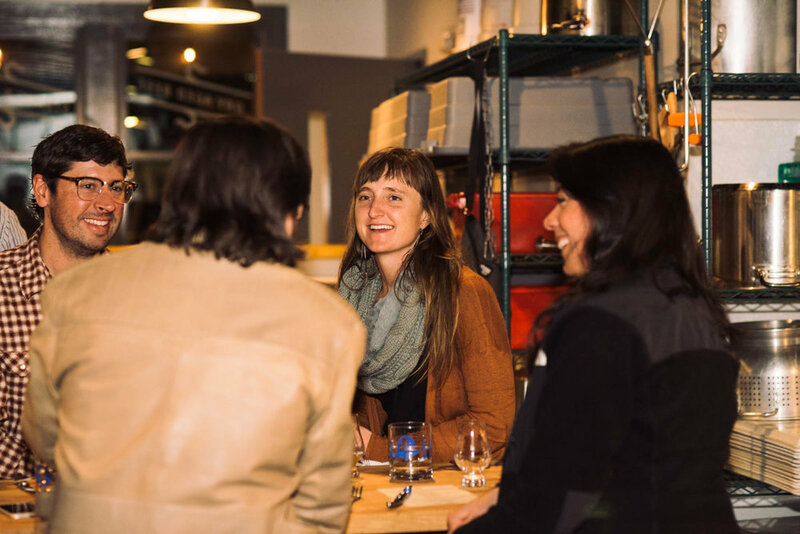 This is a great way to gather with familiar faces and meet new ones while sharing delicious food, refreshing drinks, and appreciating our local food scene. 1. Fill out the reservation form below. Decide which Thursday (or flexible date Thursdays) you are interested in attending, how many tickets you’ll need, and provide your contact information. Or call Meg directly to place your reservation over the phone. 2. Confirm your reservation with Meg. Meg Montgomery, our Retail Manager, will call and/or email you to discuss your date, go over details, and make sure all your questions are answered. 3. Pay for your ticket or party reservation. You'll receive an electronic invoice for your ticket from Meg after she confirms your reservation. Simply pay online and you’re ready to go! Enjoy your Butcher’s Table Dinner - eat, drink and be merry! Experience our next Butcher’s Table Dinner! To reserve your individual seat(s), or to arrange for a party of 6 or more to take over a full Butcher’s Table for any Thursday night, fill out the form below OR call Meg Montgomery at (828) 357-9029. Which Thursday(s) are you interested in? You may choose more than one date. We offer seatings for up to 2 months in advance. NOTE: $60/person to attend a 12-15 person dinner. Butcher's Table Dinners happen every Thursday night at 6pm IF the table fills to 12 individuals. 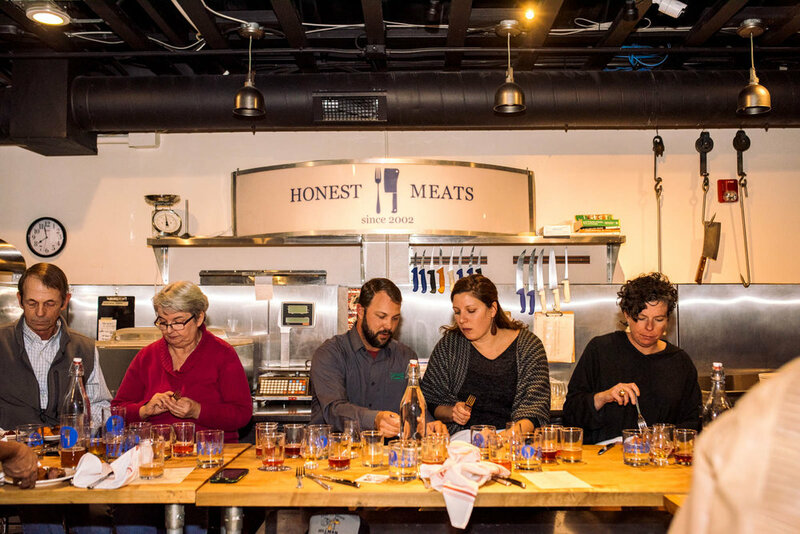 A group of 6-12 people may book a private Butcher's Table Dinner any Thursday for a flat price of $720. Thank you! Meg will confirm your reservation details and Foothills will send you an invoice after confirmation. What is included at a butcher’s table dinner? A butcher’s table dinner includes 4-5 courses. 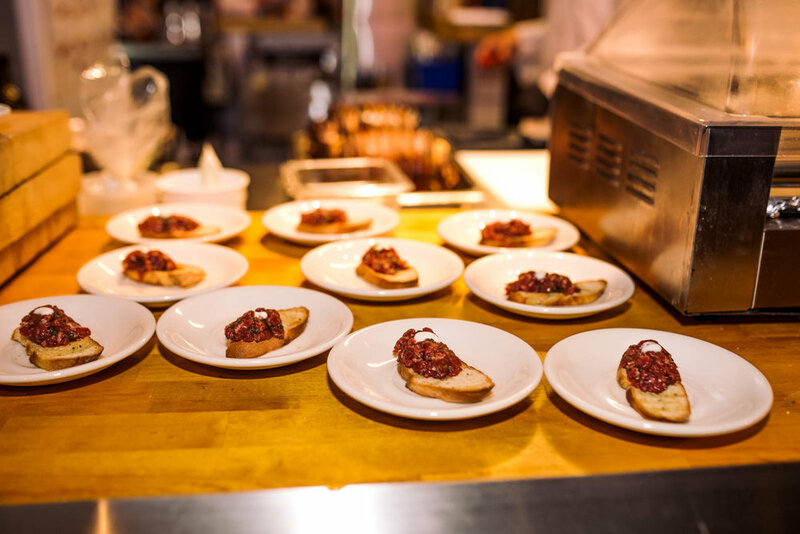 Each course includes a meat-inspired dish, accompanied by seasonal vegetables, housemade pickled vegetables, local artisan and/or fine cheeses, handcrafted desserts, and other goodies. It does not include drink pairings, gratuity, or taxes. WHAT HAPPENS IF MY BUTCHER’S TABLE DINNER DOESN’T FILL ALL 12-15 SEATS? We will notify you 48 hours ahead of time and work with you to see if you want to transfer your ticket to another Butcher’s Table Dinner date, or receive a refund. IS THE MENU THE SAME EACH TIME? The menu changes with each dinner, depending on the chef’s aesthetic, specialties, and what is in season. The same goes for our drink pairings. We want it to be fresh, creative and delicious! We can offer a refund if WE need to cancel a Butcher’s Table Dinner: if it does not fill to capacity, in the case of inclement weather, and if you cannot change dates nor attend a future dinner. If YOU need to cancel your reservation for any reason, we ask that you please cancel at least 48 hours ahead of time to receive a refund. Sorry, only “kids” 21 and older are welcome at a Butcher’s Table Dinner. We hope you’ll see this as an opportunity to hire a babysitter and enjoy a fun night out! WHAT SHOULD I WEAR? WHAT IS THE SEATING LIKE? Will I get to butcher anything? Dress as casual or fancy as you’d like! We welcome everyone and want you to feel your best and most comfortable. The butcher shop may be a little cool but warms up quickly with a lot of people in the room (and vice versa for summer dinners)! Please dress in layers for comfort and don’t hesitate to ask our staff if you need anything. We have a secure area to store bags and purses if you don’t want to keep them under your seats. The seating is diner-style stools that are comfortable, and you are welcome to stand up and venture around the butcher table area during your dinner. For people with specific accessibility concerns such as wheelchair access, please contact us to discuss your options. 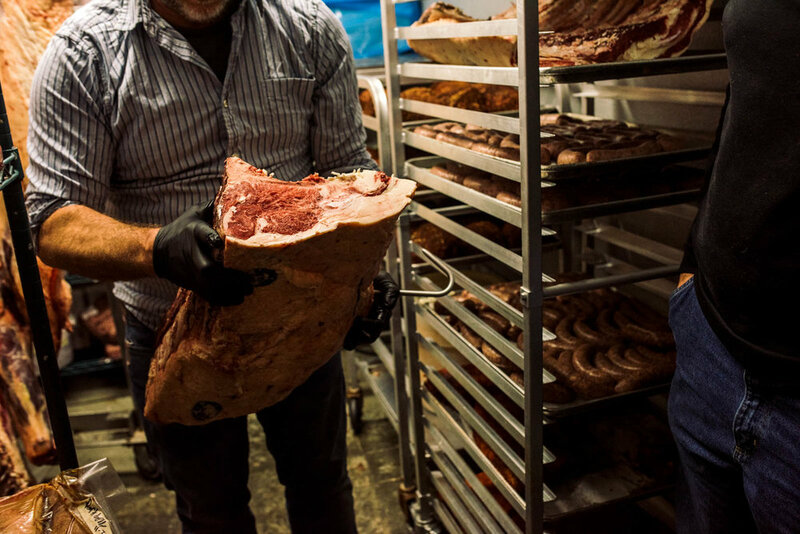 The experience of eating in the butcher shop is unique in that you get a great behind-the-scenes look into the Foothills kitchen, the shop, the walk-ins and experience a really one-of-a-kind experience. This is not a butchery demo. Check our Events page for upcoming opportunities! Please park in our parking lot at 107 Black Mountain Avenue or along the street. You can enter through the Butcher Shop doors on the right or the Main doors on the left of the building. Our host will be happy to direct you to your seats and help you get settled in.